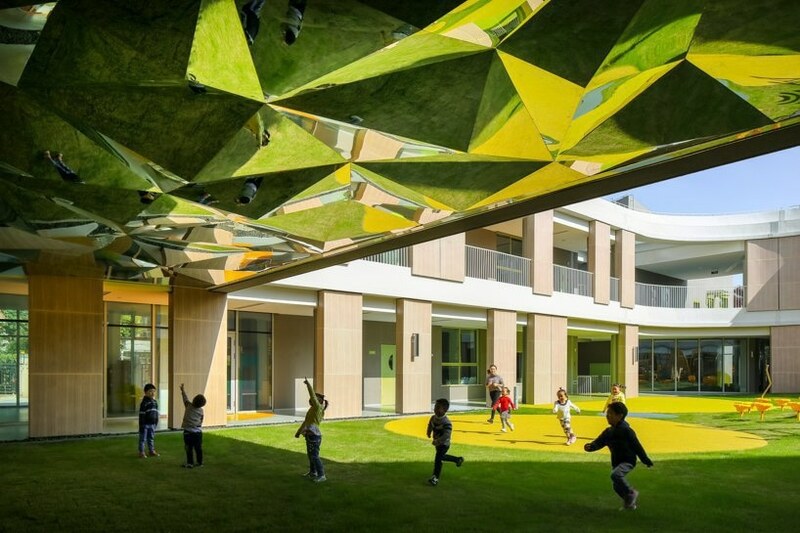 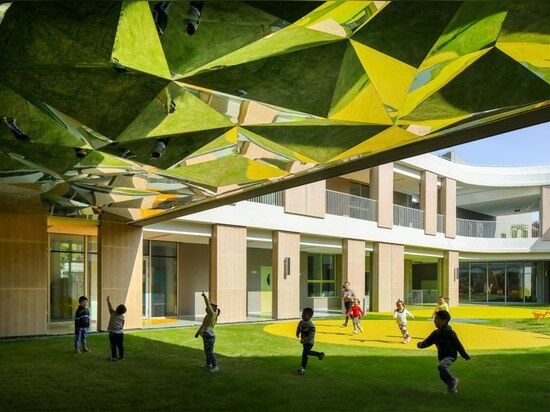 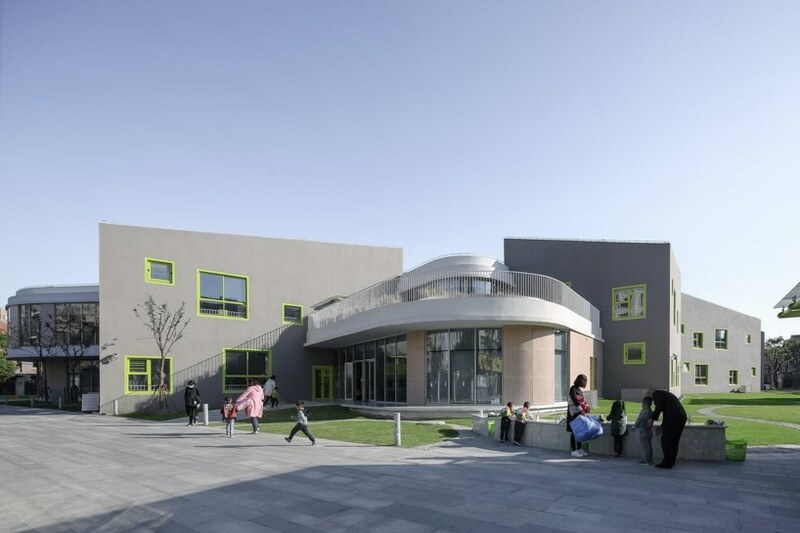 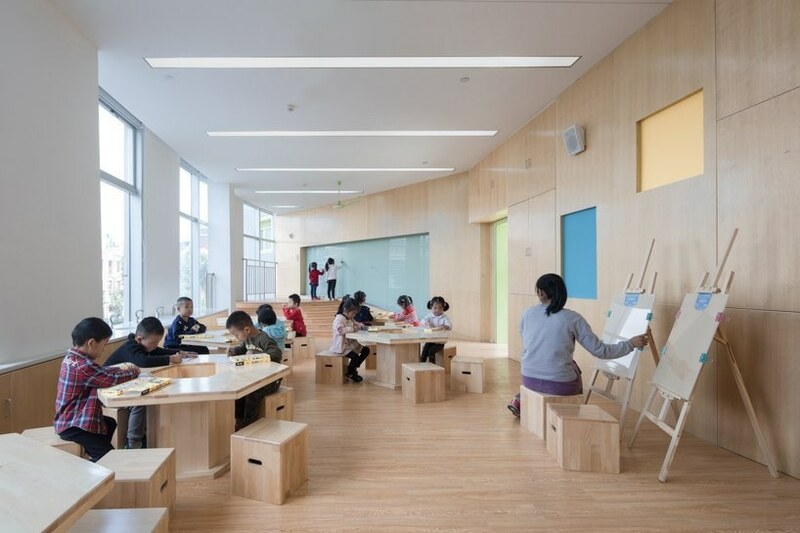 the kindergarten, which looks like an infinity symbol from above, is a colorful complex of classrooms and public spaces with a number of spacious and green inner courtyards.as a bonsai of urban scale, the kindergarten is an idealized space, while the most important thing is to introduce unusual experiences into the daily life of kids. 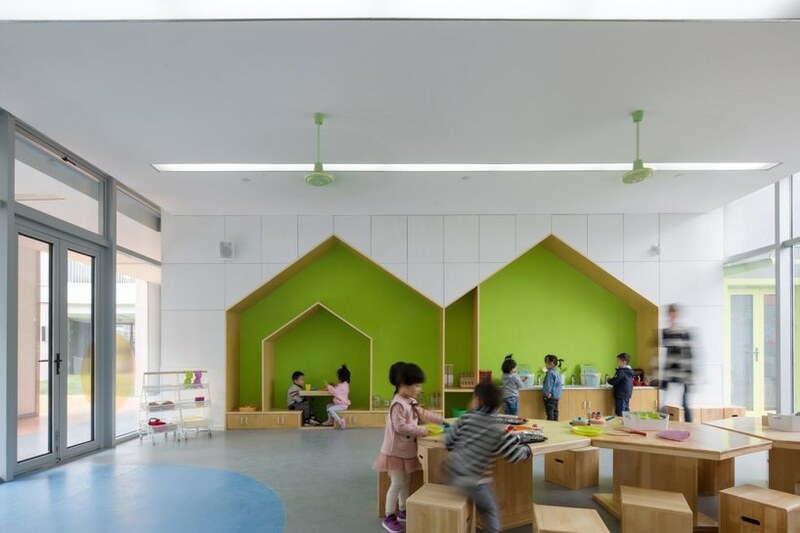 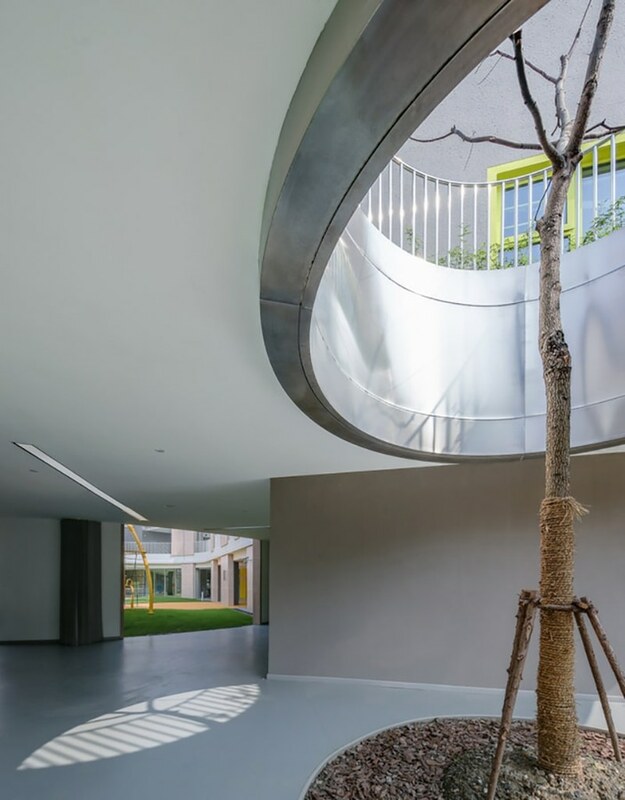 unlike ordinary centralized kindergartens, the architects have decomposed the building into houses, corridors and courtyards. 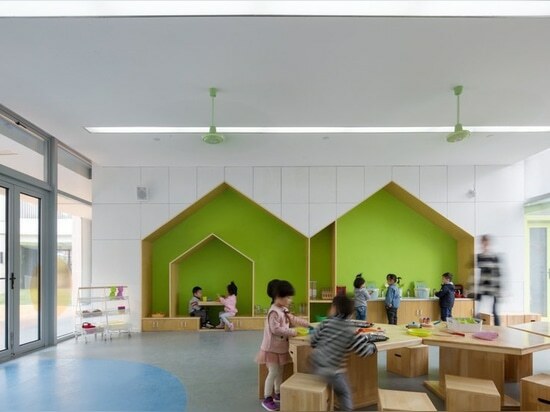 these spatial components, just like building blocks, form one infinity symbol through stacking in a loose order. 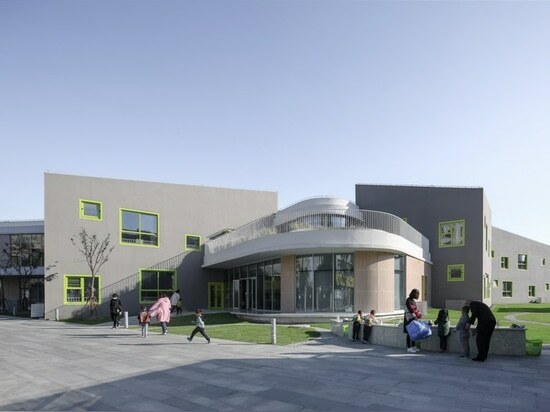 the rectangular units with cluster layout, are classrooms. 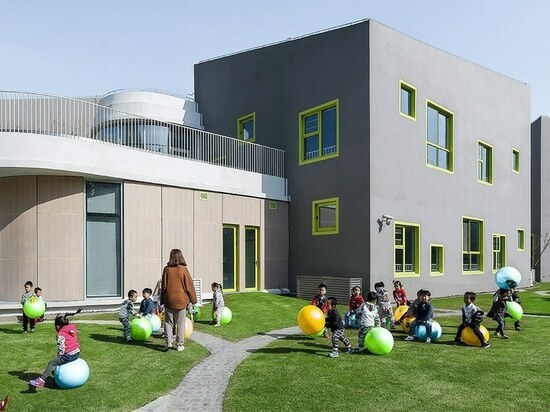 the house unit with diagonal sloping roof unifies the two classes at the first and second floor into one mass. 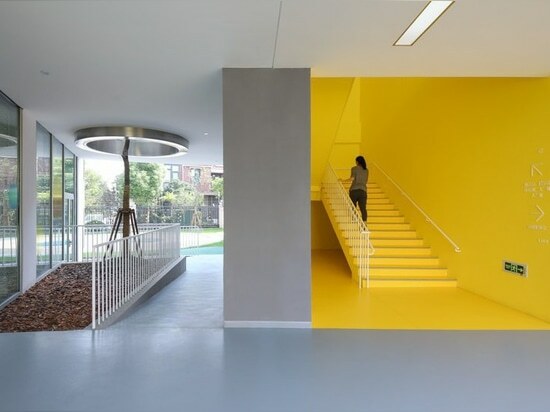 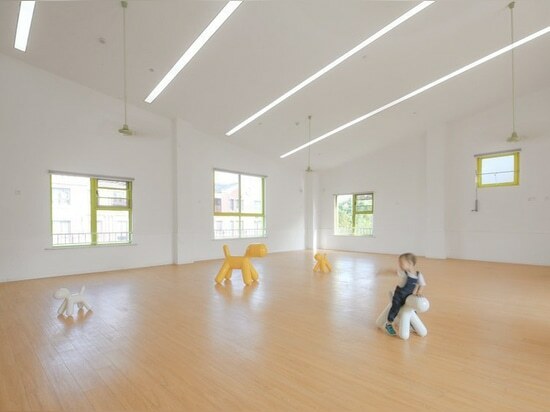 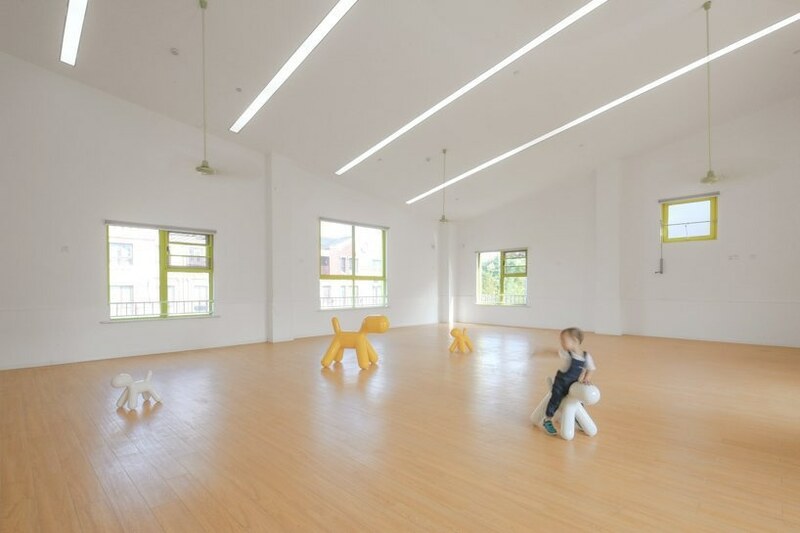 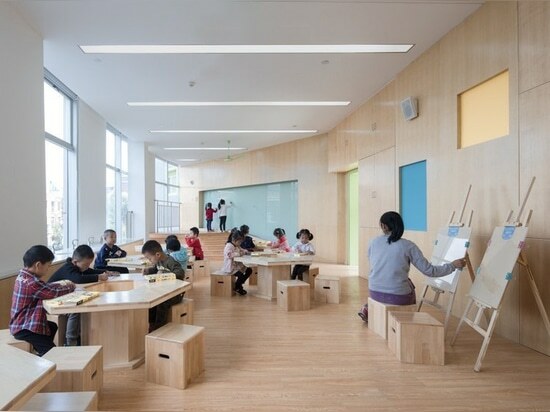 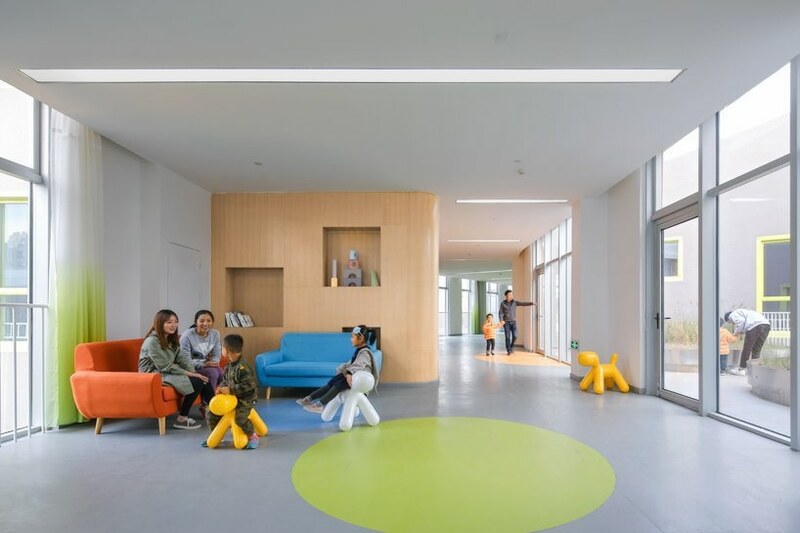 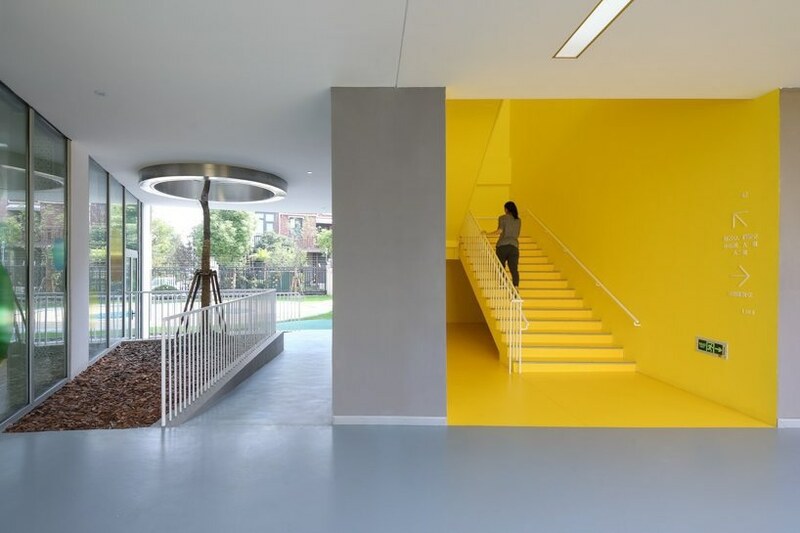 the corridor connects the scattered houses in series and accommodates kindergarten’s service spaces. 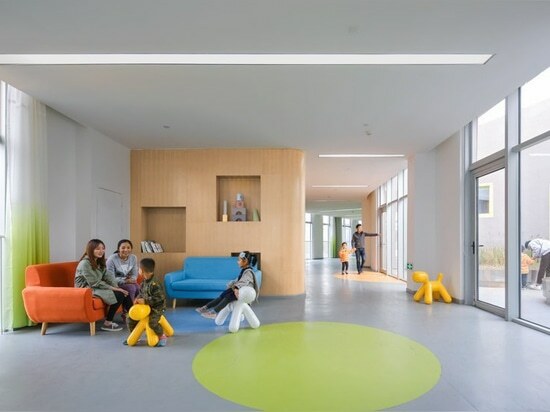 the team has deliberately widened the circular corridor and integrated it with the outdoor space to make it a space for children to hang out, meet and play. 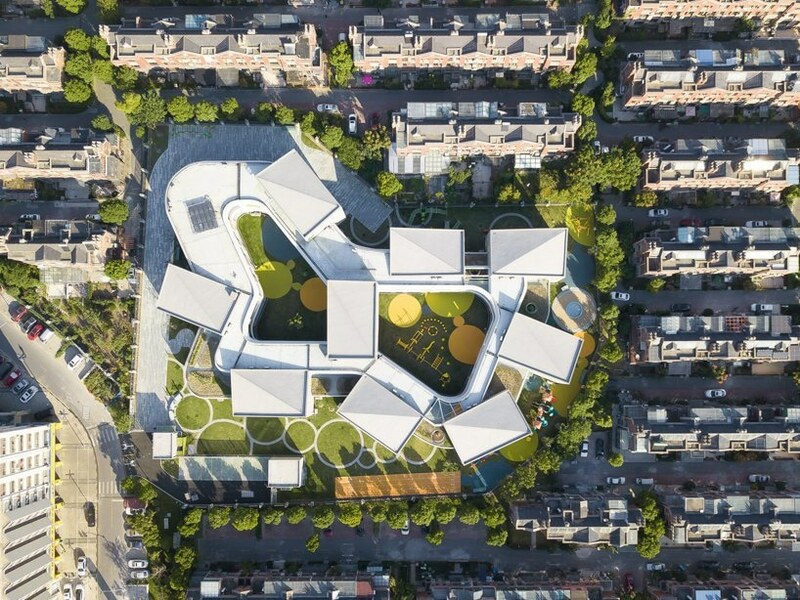 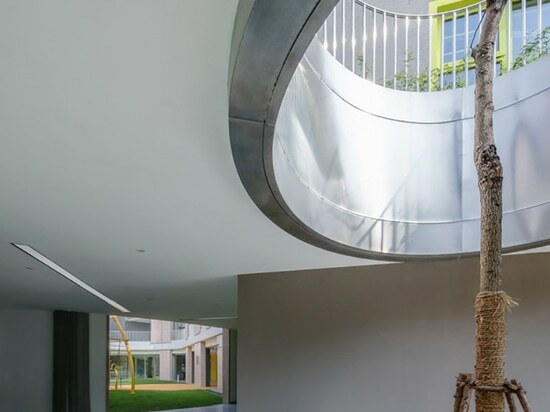 the circular corridor and houses split the site into four different styles of courtyards — an open outer courtyard, tortuous east and west inner courtyards, roof garden and tree yard under big trees, where children are free to do exercises, play, plant and climb.